In honor of Prince’s recent passing, we concocted this delicious, yet surprisingly healthy, Purple Rain Smoothie. Sit back, sip and reminisce, while listening to his 40 Biggest Billboard Hits. RIP. 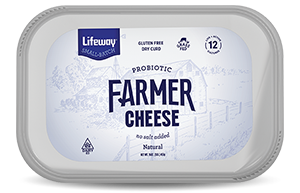 Top Layer: Blend 1 cup Lifeway Blueberry Low Fat Kefir, ½ cup of Lifeway Farmer Cheese, 1 tsp of Vanilla Bean Paste, and ½ Frozen Banana. Blend until smooth. Set aside in another container. Bottom Layer: Blend 1 cup Lifeway Blueberry Low Fat Kefir, 1 cup Frozen Blueberries, 1 Frozen Banana, and Ice as needed. Blend until smooth. Pour: Bottom Layer, sprinkle about 1/4 inch of crumbled graham cracker, finish with Top Layer. Serve immediately! Make the top layer first. It doesn't need to be as thick as the bottom! Vanilla Bean Paste can be substituted with Vanilla Extract.